I came across this article by Ross Douthat in the NYTimes.com. It provides a very interesting commentary on the slippery slope of capitulating to cultural trends and theological malaise. 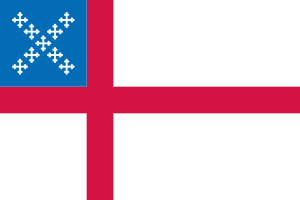 Douthat looks at the recent decision by the Episcopal Church, the American branch of the Anglican Communion, to recognize homosexual unions and even to provide a liturgy/ceremony approved by denominational leaders about a week ago. While it would be easy to isolate the homosexual issue, this article does a very good job of looking at what happens to a denomination that gives ground to the prevailing wisdom of the surrounding culture. Every church needs to take some time and reflect upon what its intended purpose is in this world. If its purpose is to provide a religious framework for personal development, then this is a far departure from biblical Christianity. However, if the goal of the church, regardless of its ecclesiastical form, is to preserve the truth of God’s salvation in Christ, there is much work to do to recapture the churches original vision. Here is one example of what Douthat has to say regarding what we will see in churches that have taken the path the Episcopal Church appears to have taken. “…the leaders of the Episcopal Church and similar bodies often don’t seem to be offering anything you can’t already get from a purely secular liberalism. Which suggests that perhaps they should pause, amid their frantic renovations, and consider not just what they would change about historic Christianity, but what they would defend and offer uncompromisingly to the world. Read the article below or download the PDF.